I actually enjoy this show better than AI. And the host is burning hot. 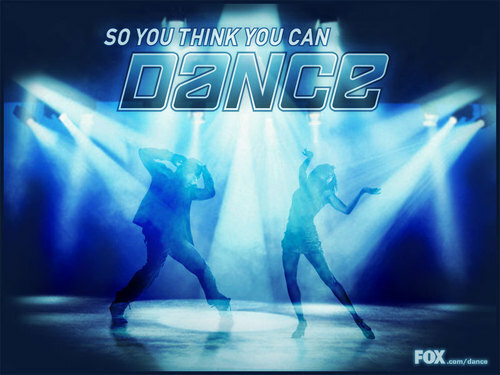 Season 4 was choreographers' season. Seasons 1-3 were dancers' seasons. Thanks to this thread for introducing me to Krod Mandoon. Grabe at nakakatawa talaga, like effing up all your typical fantasy/rpg characters. Oh Katee. I felt she should have won. Cant forget that high jumping split she did. But I felt it was a travesty that Will didnt even make the final 3. How'd you like the Will and Katee Pas De Deux routine to the music of Imagine by Archuleta? Awesome ne. 1. Red Riding - a detective/mystery series set during the 70s. Kind of brings back the paranoia-filled undertone of that era. 3. Wallander - Kenneth Branagh as Scandinavian detective. Need I say more? 5. Parents of The Band - Stage parents try to control a band formed by their kids. Starring Jimmy Nail in a role that is soooo perfect for him. Watched Apparitions and Afterlife this week and last. Liked them both. In the latter you can see "Tonks" showing some skin. Royal Pains looks like it's going to be an interesting show. I'd put it on my personal list of best Brit TV of all time - - along with The Avengers, Absolute Power, The Office,Doctor Who and the Sweeney. any feedbacks on the horror series "dead set" ? Wonderful horror miniseries. Big Brother meets Night of The Living Dead. I highly recommend it. Heck, if I can, I'd buy the DVD. from what ive read its only 5 episodes? Yup, it's a short miniseries. In its original broadcast, each episode was aired for five consecutive nights. That was a really enjoyable miniseries. I found it even more fun since I actually watch the UK Big Brother, so to see the host Davina McCall playing herself-gone-zombie was hilarious! It isn't new, but I just now discovered the original BBC "The Worst Week of My Life" series. If you like cringe comedy like the original "The Office," this falls in that category. You feel so embarrassed for the lead star. Sadly, immediately after watching the complete series, I tried the US remake, "Worst Week." I stopped it after the first episode, since it was almost a shot-per-shot inferior remake. And not even of the BBC show's pilot - it was a version the first episode of the third season! I swear by Worst Week of My Life. It's something I recommend to anyone who comes to the house and ask for copies of series I have. Have you seen both series and the Christmas Special? Worst Week is such a dismal version. Yup, did a marathon of all three over the weekend. Got the boxed set at a HUGE discount. Sobrang sulit! Coupling - its a British comedy very similar to Friends, but more "green"
Recently renewed for a second season, it's a raunchier animated take on the 60's spy genre. Stellar voice cast includes: H. Jon Benjamin, Judy Greer, Chris Parnell, Aisha Tyler and Jessica Walter. The animated makeover of the wildly popular series of podcasts featuring Gervais, Stephen Merchant and their idiot friend Karl Pilkington. Another animated gem about Tim, a laid back single working guy always stuck in awkward situations. Just like Freaks & Geeks only with horny British teenagers. I recently watched this and will agree. Very funny, juvenile humor... something to watch and enjoy if you just want to turn your brain off and have a good time. Cool. Worst Week and Gavin and Stacey are my two most favorite Brit comedy series in recent years. Archer is so dang funny! I like how raunchy and stupid they portray the spy genre. And Archer's sorta lazy, non-serious voice for an alleged topnotch agent is just perfect! The Ricky Gervais Show. . Doesn't work for me. I'd rather hear the three of 'em talk. But I guess the animation will really bring to life the amusing nonsense swimming inside Karl's head. I wonder if Krod Mandoon fits this category. been enjoying Better Off Ted for some time now. Red Riding - not actually a tv show, but a miniseries based on the novels of David Peace about the Yorkshire Rippers of the 70s. it's bleak and as one friend said, depressing. Red Riding's really good. And it's a small feat in itself that the guys behind the show actually managed to give the series an uncanny 70s' look and feel. Each episode showcases the highs and lows that passengers and crew face behind the scenes of the Southwest Airlines. Follow Southwest Airlines pilots, flight attendants, and airport employees as they experience heartwarming passenger stories, occasional outbursts, weather-related anxiety and heightened security measures all while trying to meet everyone's urgent timetable. A&E Network brings the viewer behind the counter, onto the tarmac and into cockpit for this real life series. Airline focuses on the ups and downs of passengers and Southwest's staff and crew at Los Angeles International (LAX), Chicago Midway and Baltimore/Washington International airports. Follow Southwest's staff and crew, from the customer-focused flight crews to the hard working ground crews who are often on the receiving end of a frustrated customer's wrath. America's fourth largest carrier, Southwest Airlines originated the concept of low cost, no frills travel and carries 65 million passengers every year. Great show. Unfortunately I've only found the first season so far. Plus I think Suzy is a cutie. Too bad she only appeared in a couple of episodes. Ru Paul's Drag Race Season 2. 'Nuff said. The atmosphere it exudes contribute to the overall aura of bleakness. And I don't think the remake Hollywood is aiming for could capture the same feel of the miniseries. Just saw the first episode of The Gates. My interest was piqued enough to try and check out the second episode. Although I can already sense a kind of supernatural Desperate Housewives and Twlight ripoff vibe going on with the show.